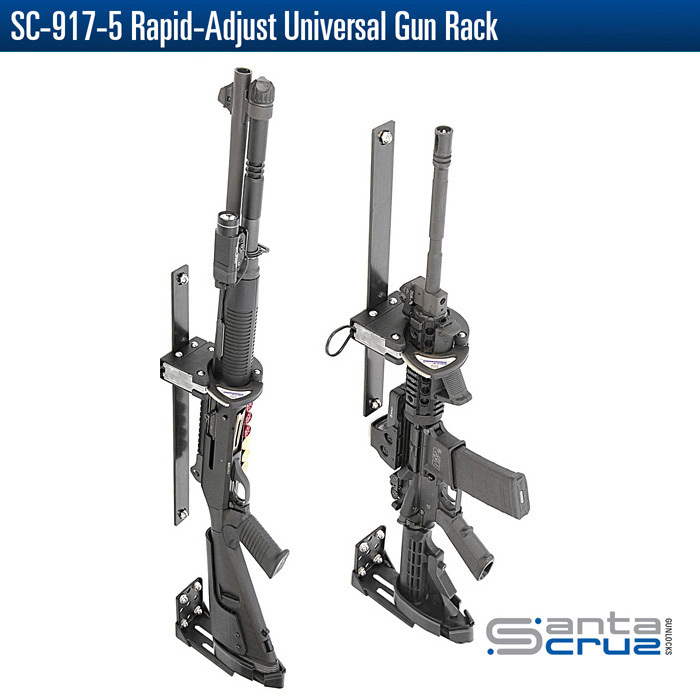 Thanks to its versatility and ease of adjustment, the SC-917-5 is one of our most popular universal gun racks. Our patented SC-6 gunlock can slide and lock into any position along the length of the 18″ mounting bar, enabling users to quickly adjust the gun rack to properly fit their firearm. The SC-917-5 is universal in nature and ideal for securing a wide range of firearms, including patrol rifles and pump shotguns. This gun rack can be mounted on a partition wall between the seats, in trunk, on a trunk lid or on practically any flat surface. Find a distributor near you or request a quote. Check to see if your local Police Department is using a Santa Cruz Gunlock. Volume Discounts are Available. Law Enforcement and Police Departments may request a Testing & Evaluation Sample! 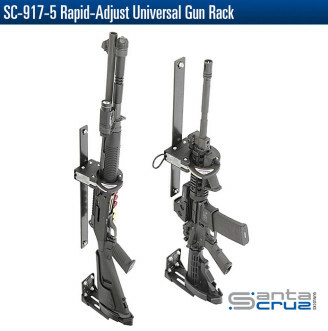 NOTE: Santa Cruz Gunlocks, LLC (SCG) gun racks and gunlocks are intended fore temporary, secure storage of firearms. They are not substitutes for a permanent storage enclosure and only act as limited theft deterrents. And they will not prevent accidental discharge/firing of a chambered round.